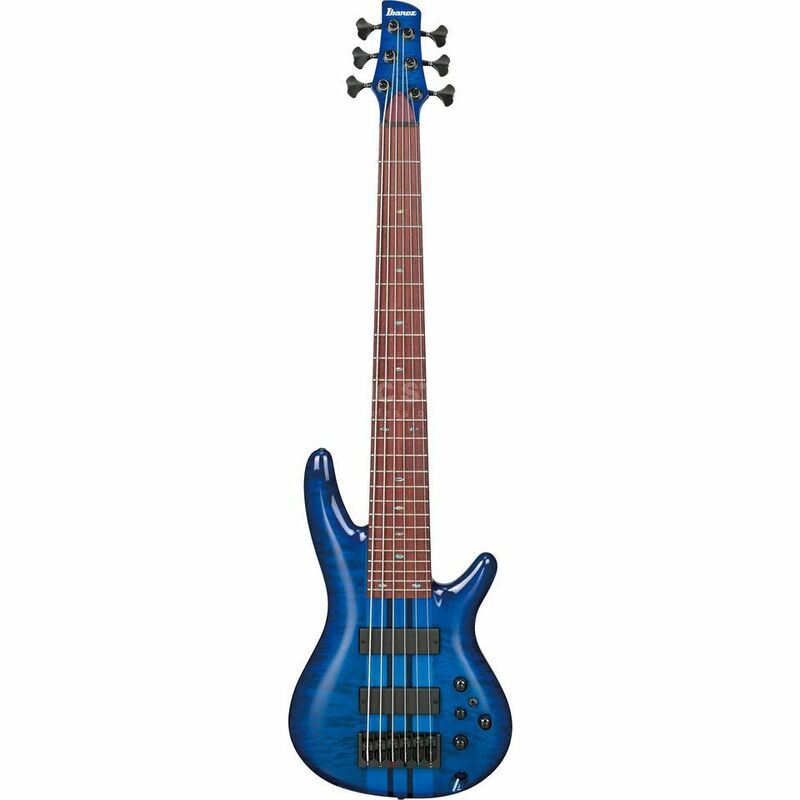 The Ibanez ANB 1006 Adam Nitti in Transparent Blue is a 6 string bass designs for Adam Nitti – a world renowned bass player who has worked with anyone and everyone. It features a Neck-Thru construction which helps to allow the transfer of vibrations from neck to body providing more sustain and body overall. The body is made from Swamp Ash, which is a lighter wood than most others but compliments a fine balance of warmth and brightness all captured and transmitted through Bartolini xxM56C soapbar pickups. These pickups can be split and are cast in epoxy to minimise feedback or unwanted noise. It also features a fantastic Bartolini tone control preamp with fully independent controls for EQ. The end result is an incredible amount of tonal variation, transparency and extremely high quality of output signal.